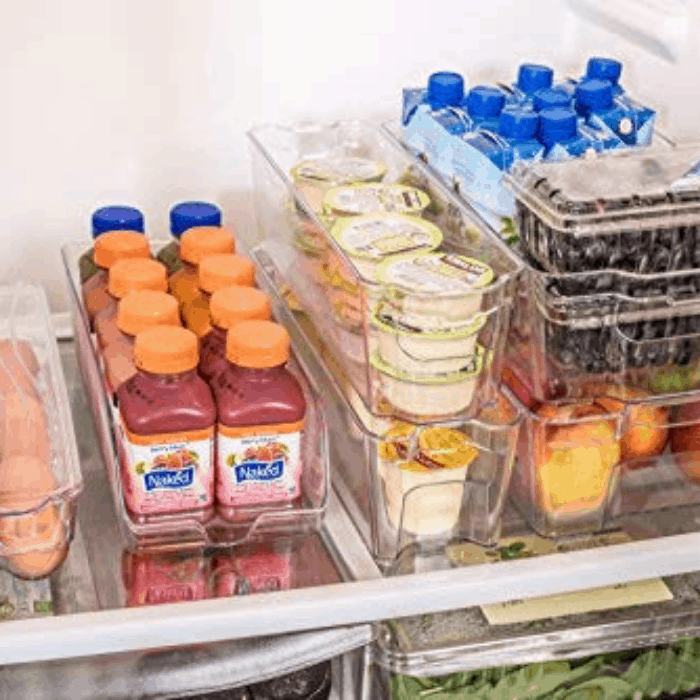 7 Ways To Organize Your Fridge! 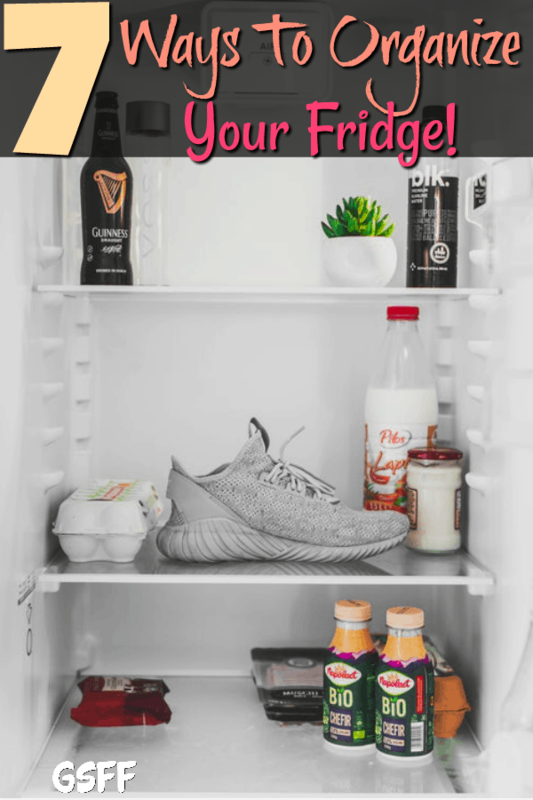 You are here: Home / Family Living / 7 Ways To Organize Your Fridge! 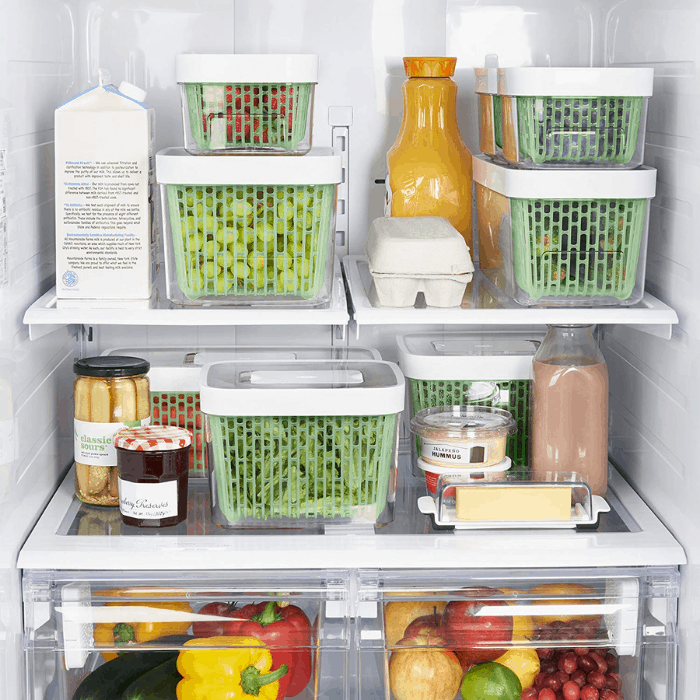 No More Mess: Organize Your Fridge With These Ideas! It’s funny how the simple things make us feel relaxed, accomplished, and happier. 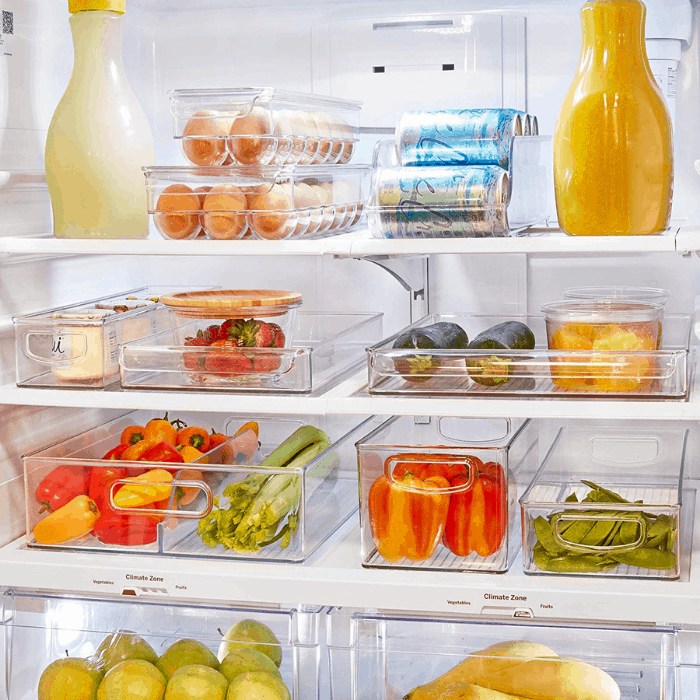 Every time you open the door to your organized fridge, it gives you that feeling. 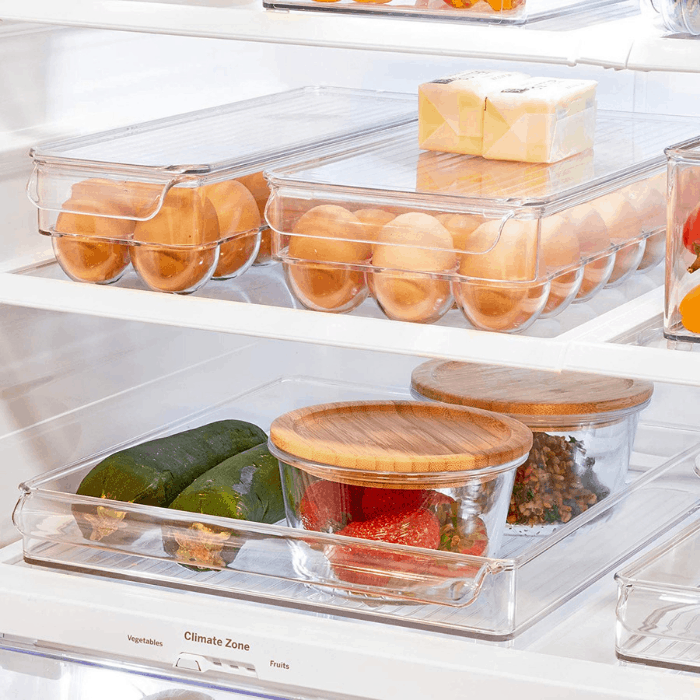 An organized refrigerator helps you save a lot of time, too, especially when you’re trying to put a meal together. 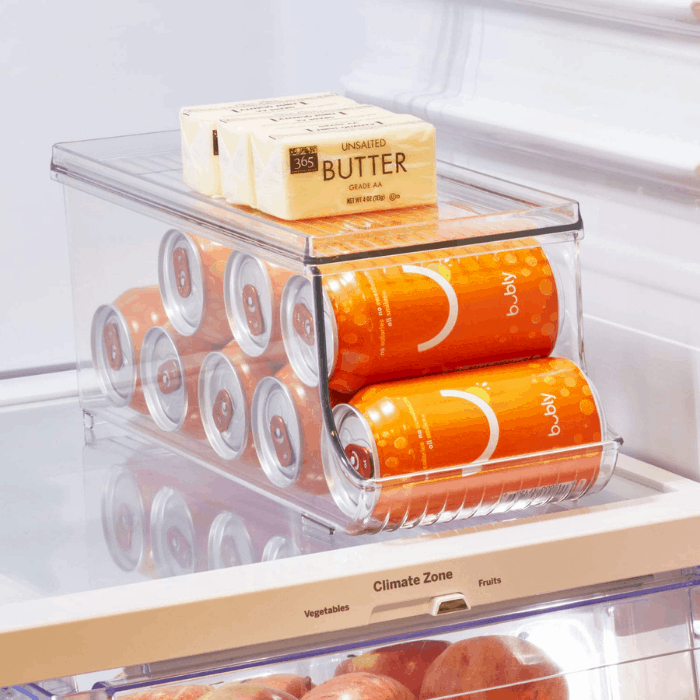 By keeping an organized fridge you’ll be much less likely to run out of anything. You’ll be able to see everything at a glance and know when something is running low or out. 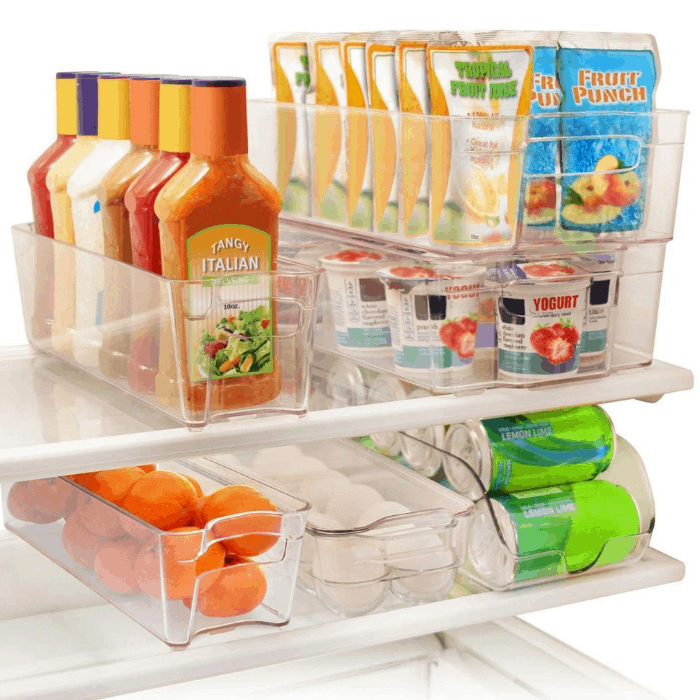 However, organizing your fridge can be a daunting task! 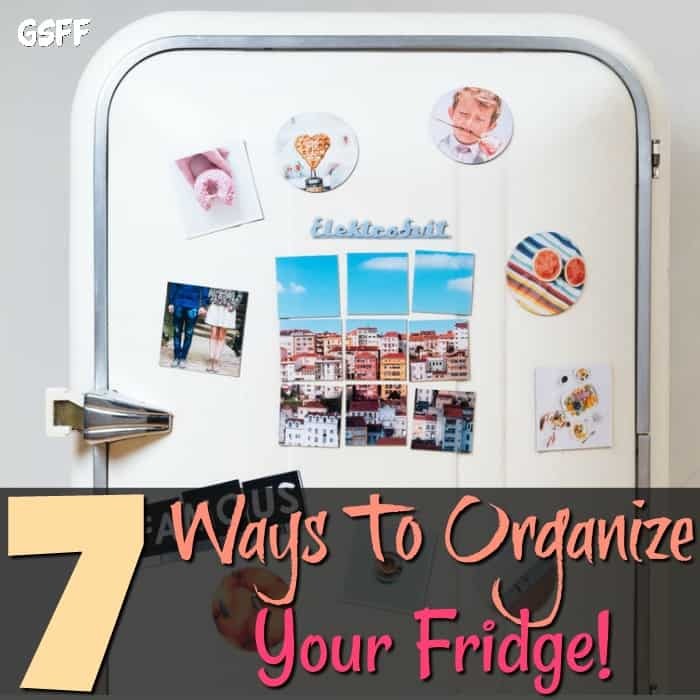 But, you can organize your refrigerator like a pro by using items that keep everything neat and tidy, and that makes the task much easier. 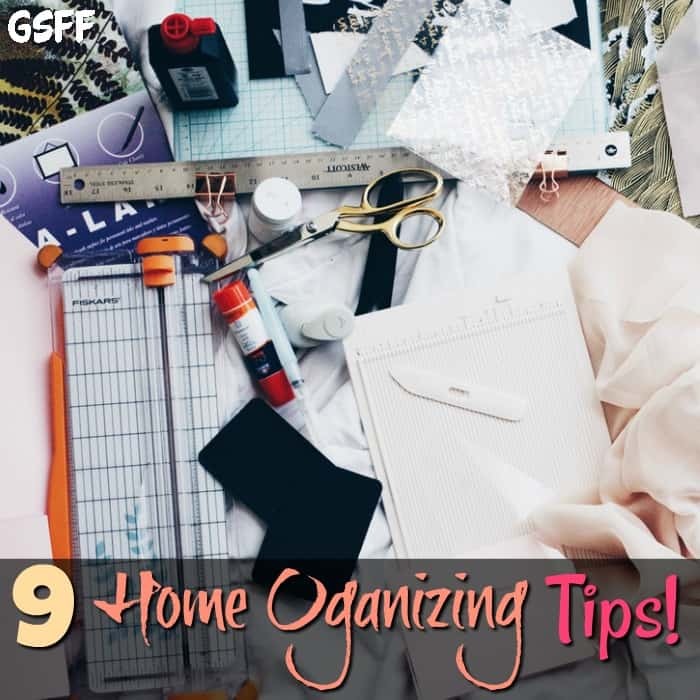 You might also like: 9 Home Organizing Tips! 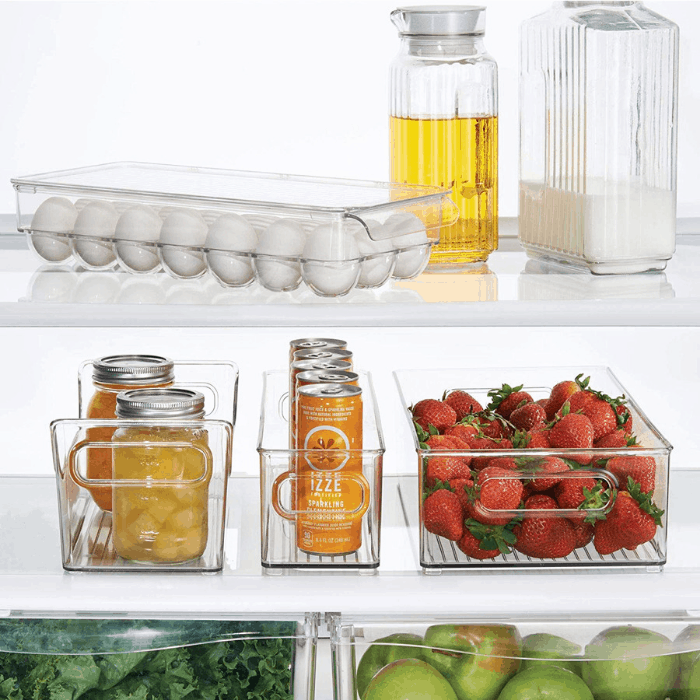 Invest in a set of clear storage containers so that you can easily access the items in your fridge. It also helps you see which ones are expired or running low. 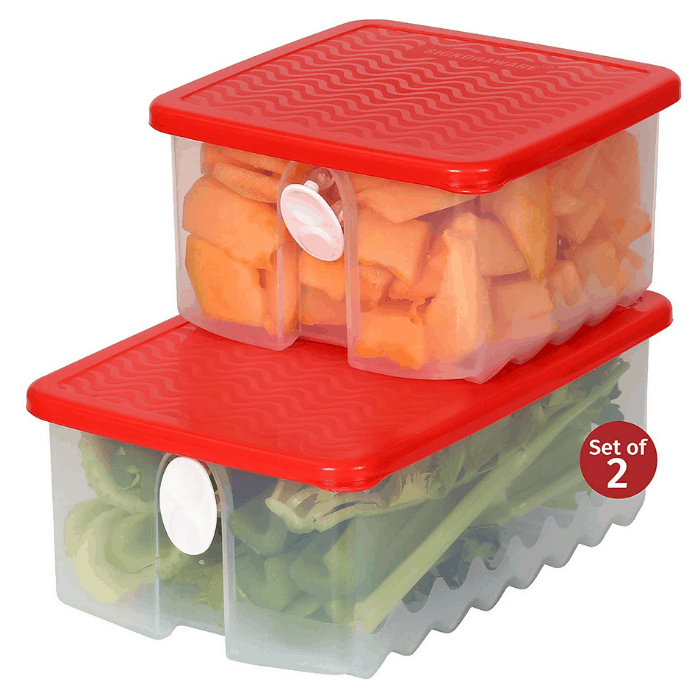 It makes it easier to pull out a basket to make a meal with, too, if you keep like foods together. 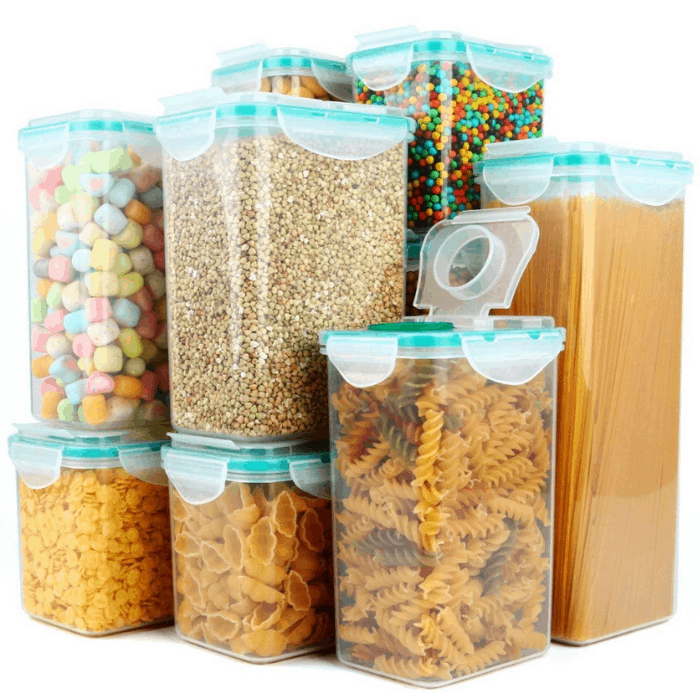 Toss those old plastic takeout containers and use stackable storage containers instead. 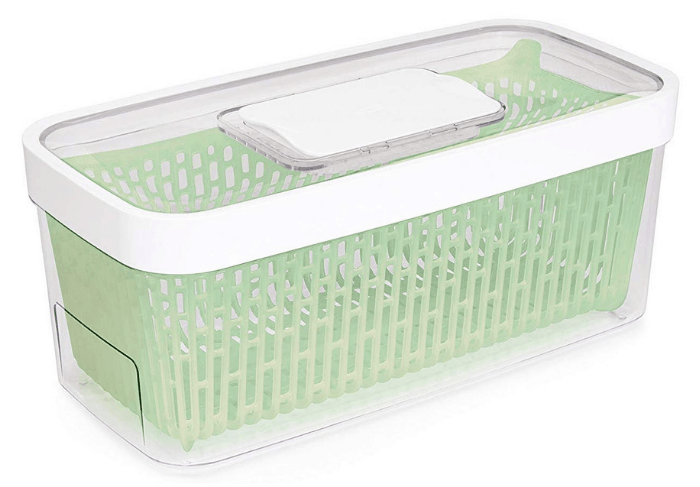 These containers make it easier to go from the fridge, to the microwave, to your dinner table. 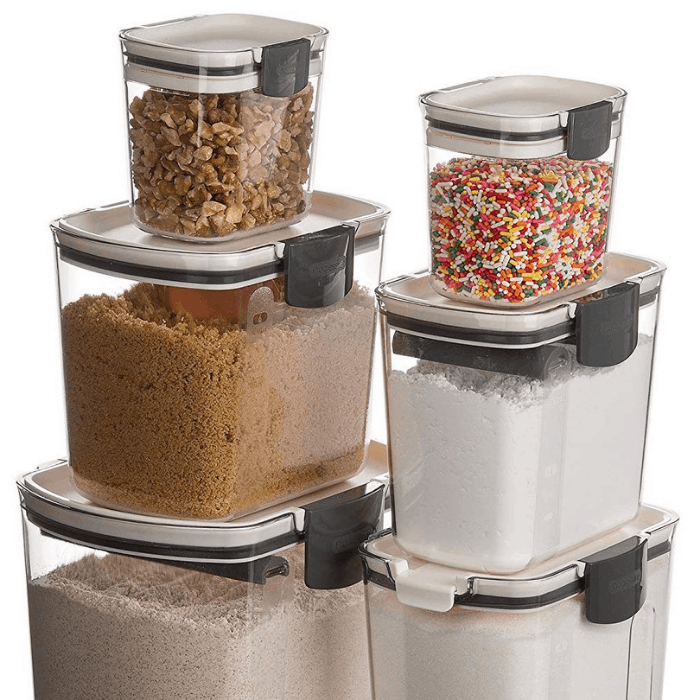 You can also place items like peanuts, seeds, onions, garlic, and leftovers to make it easier for you to access them when needed. 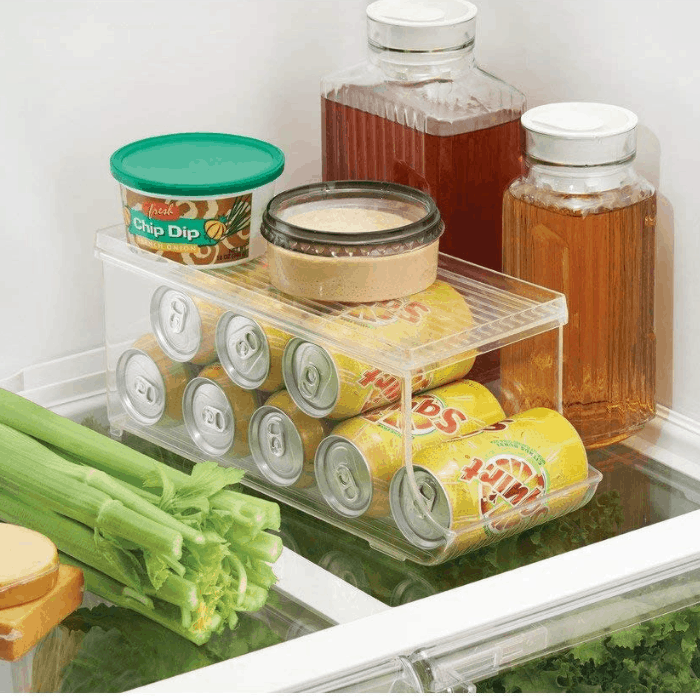 Do you need additional space in your fridge to store your vegetables and fruits? 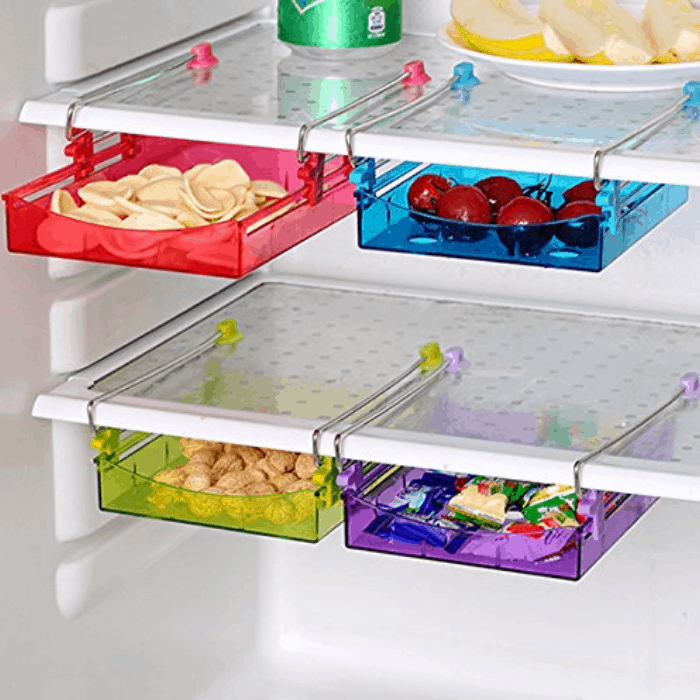 Use an under-shelf sliding drawer! 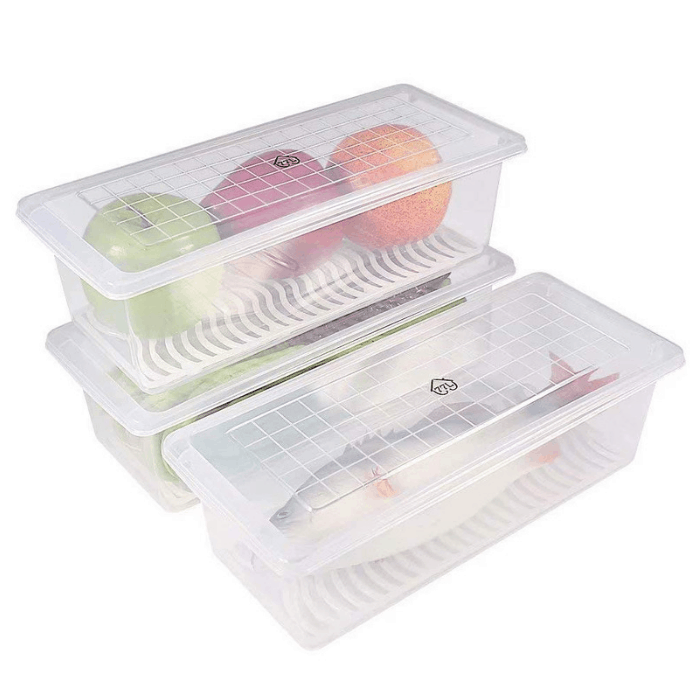 It also helps keep extra items like breads and snacks separated and easily accessible. 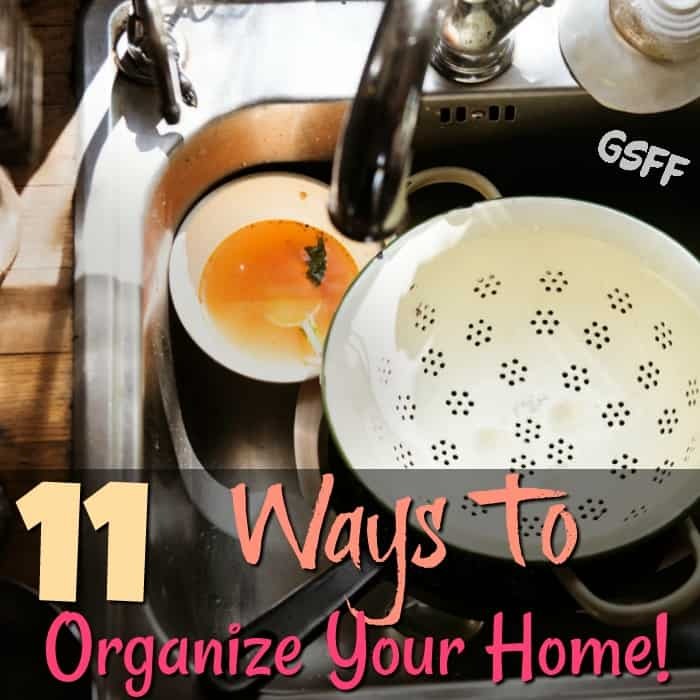 You might also like: 11 Ways To Organize Your Home! 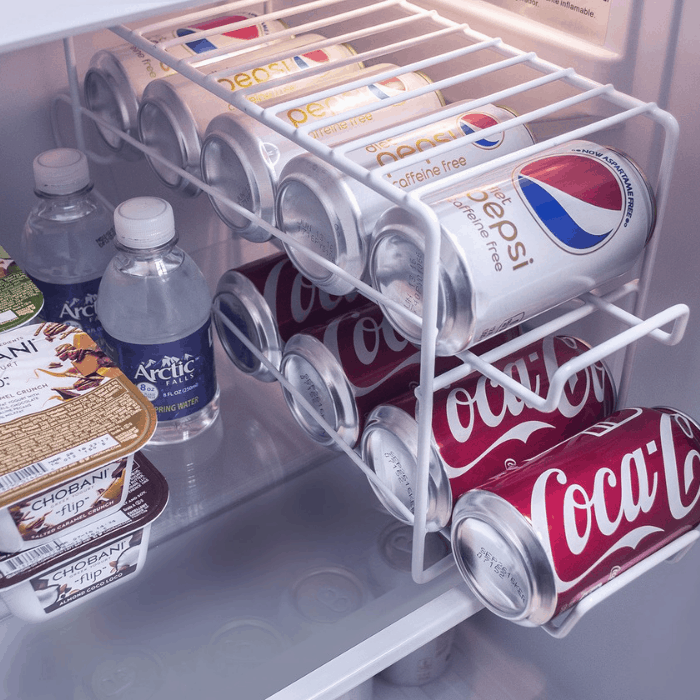 One of the reasons our fridge looks unorganized is when our soda and favorite drinks are scattered. 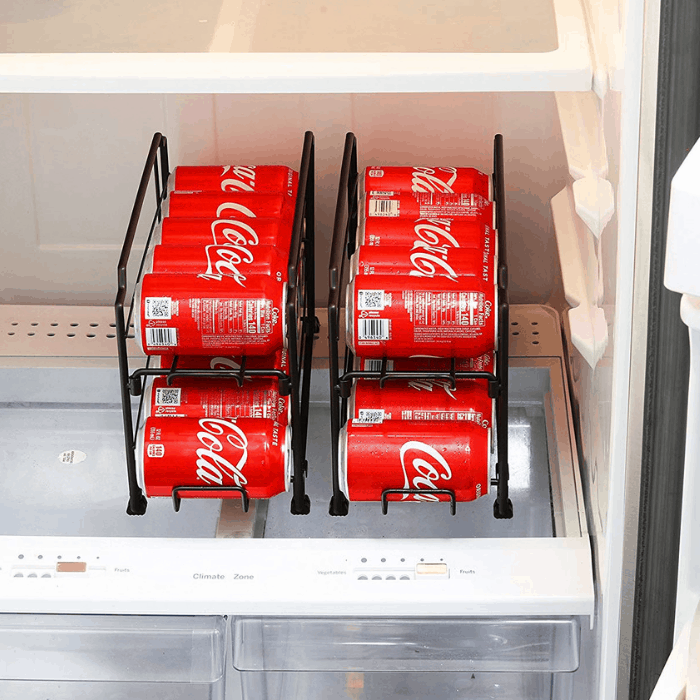 Using a soda can organizer is a neat and tidy solution to keep cold beverages conveniently organized in the fridge — all in one place. You can never have too many eggs! 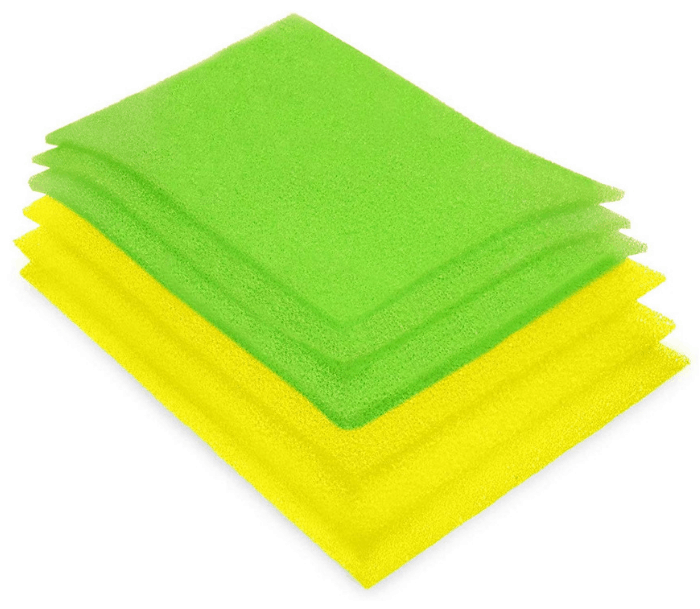 You can cook them for breakfast, for snacks, and even use them for baking! We go through about 2-3 dozen eggs a week with just 4 people in the house! 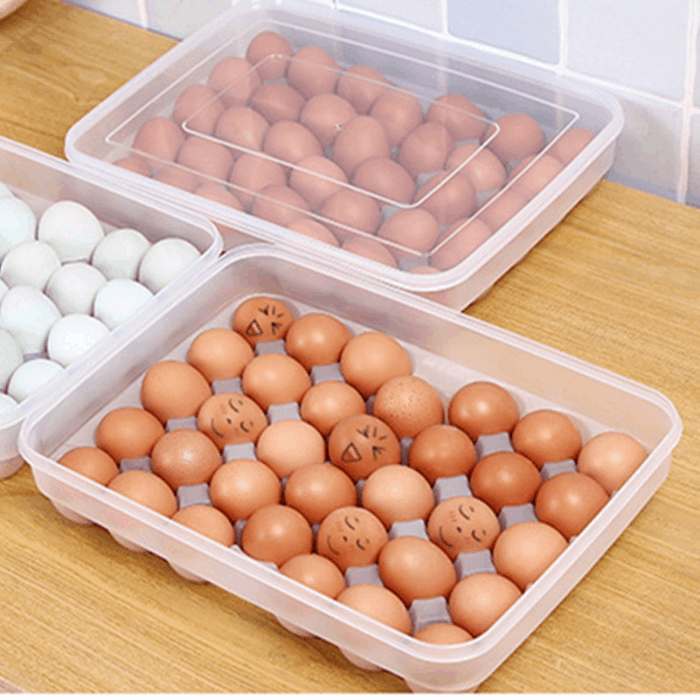 An egg holder allows you to stack eggs for extra fridge storage space. 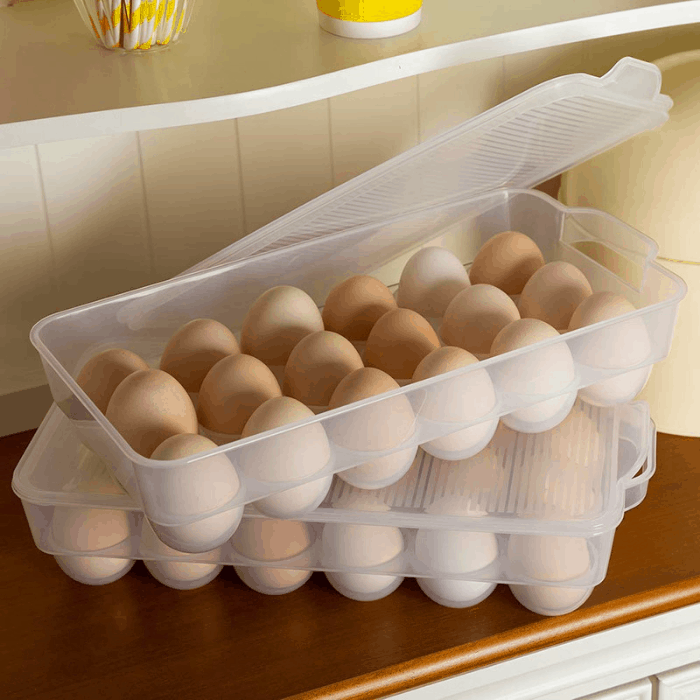 It can hold up to 14 eggs and are completely stackable for easy storage. 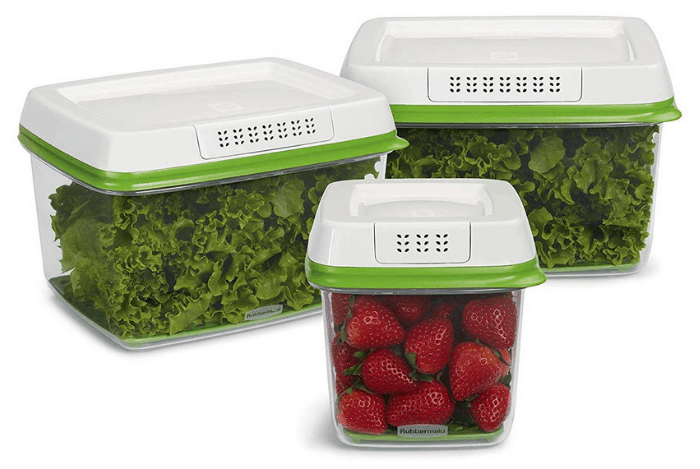 Keep all your fruits and vegetables fresh and extend produce life by using a produce keeper. 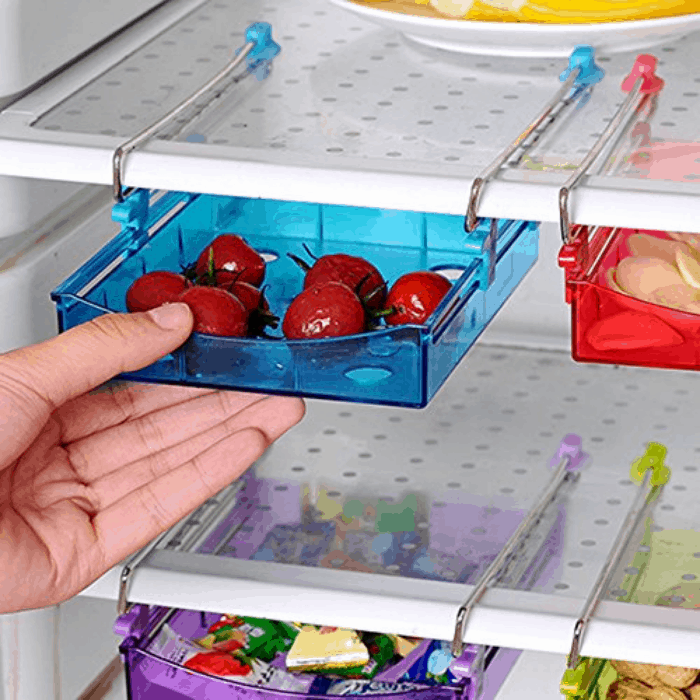 These produce keepers can fit perfectly on the shelf or in the door and can hold bunches of grapes, carrots, green beans, cherry tomatoes, lettuce, kale, and more! 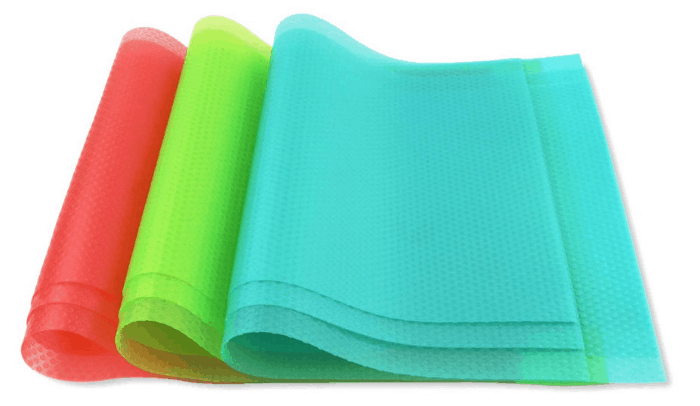 They maintain the fruits and vegetables’ moisture, too. 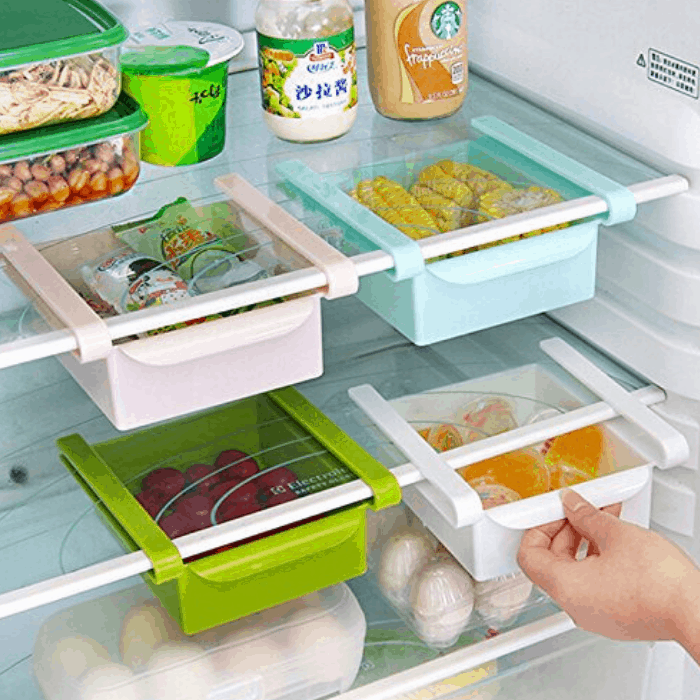 Messy fridge no more! 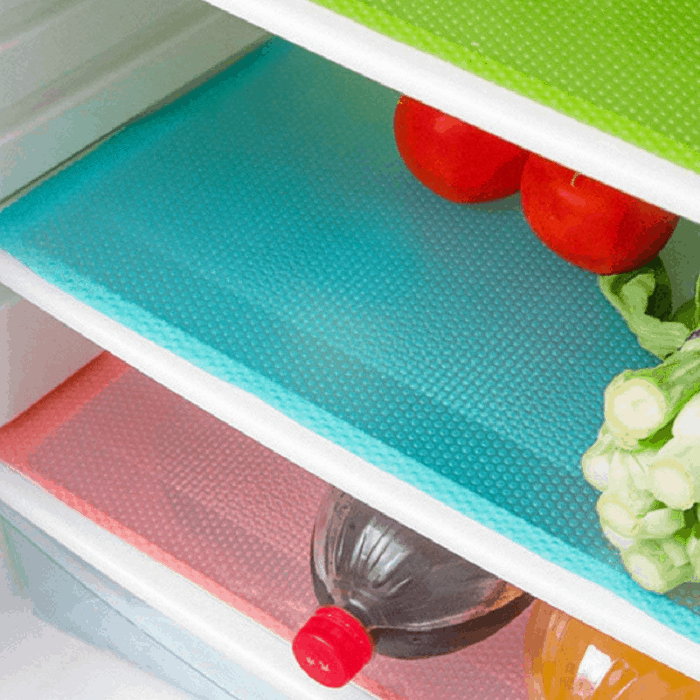 Fridge liners can be placed on the shelves and under bins, serving as a barrier between the food and the glass shelving. 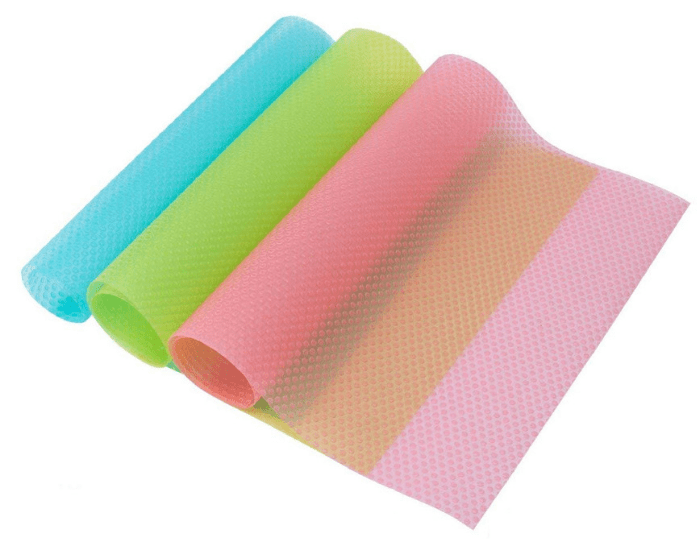 So, once there are spills or messes, just remove and wash the liner and they are ready to use again. 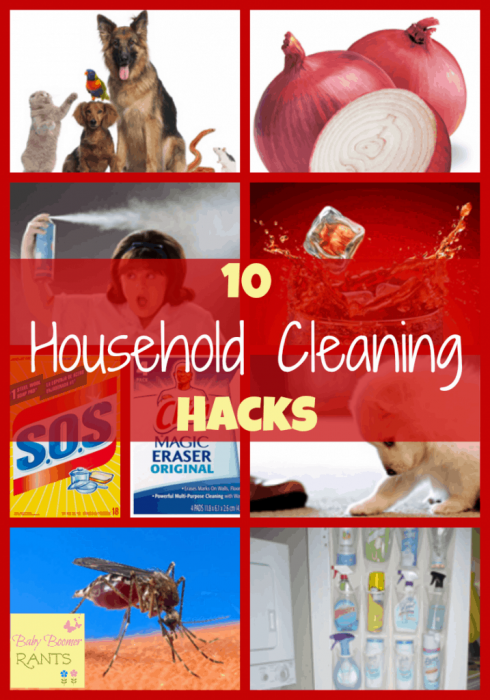 You might also like: 10 Household Cleaning Hacks! 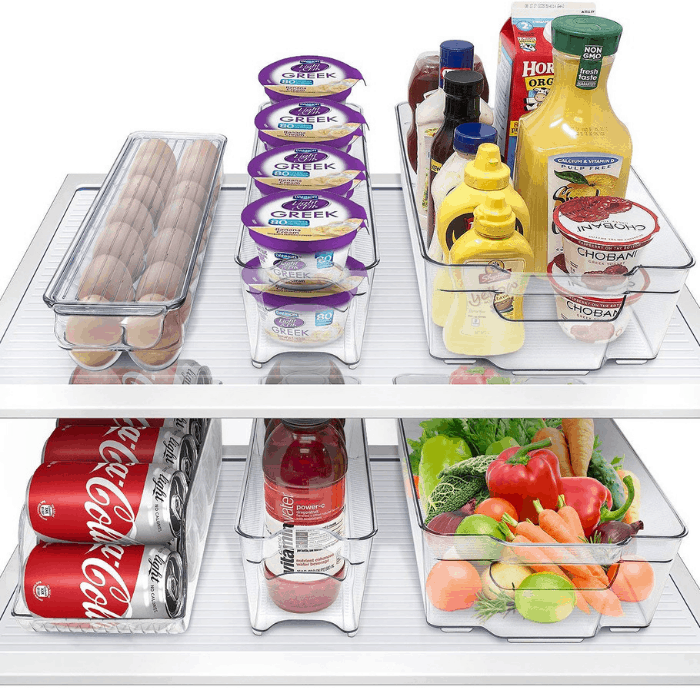 Organizing your kitchen starts with your fridge. 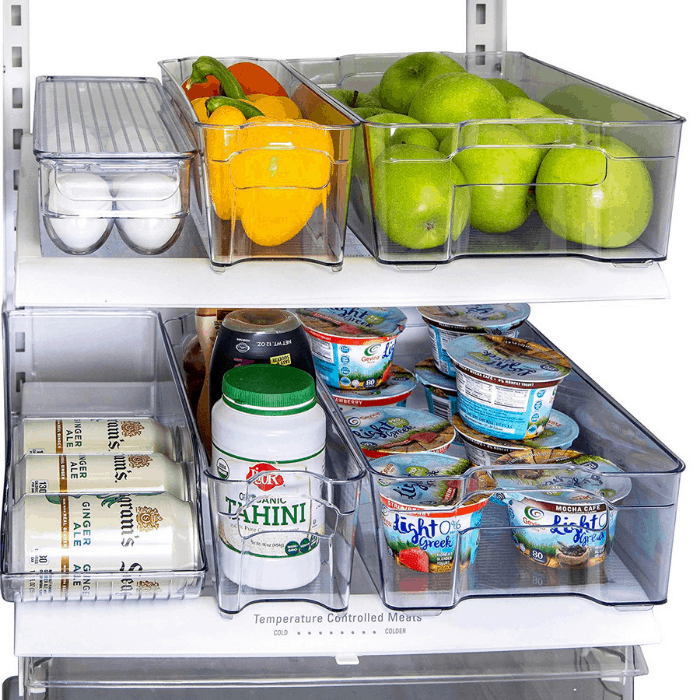 It not only saves a lot of money by eliminating the need to waste money on expired food, it also minimizes your preparation time! 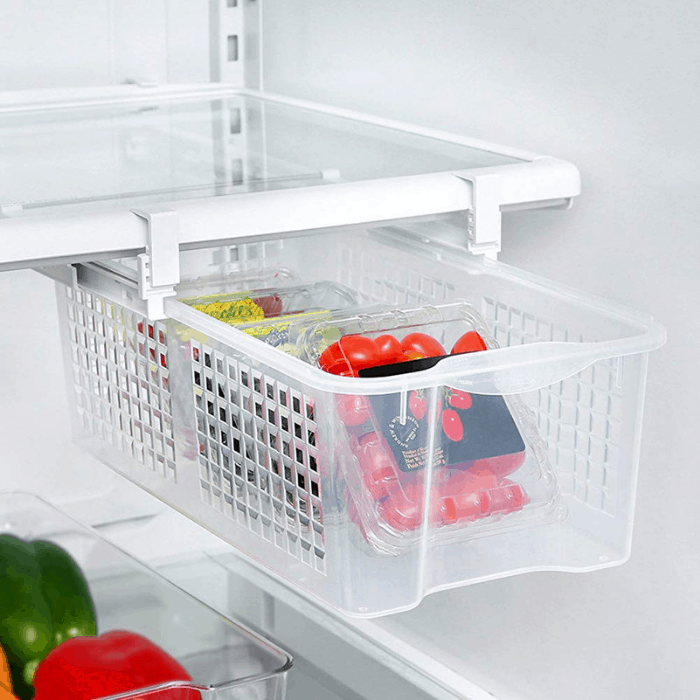 Be worry-free and mess-free with these fridge organizing products! How about you? 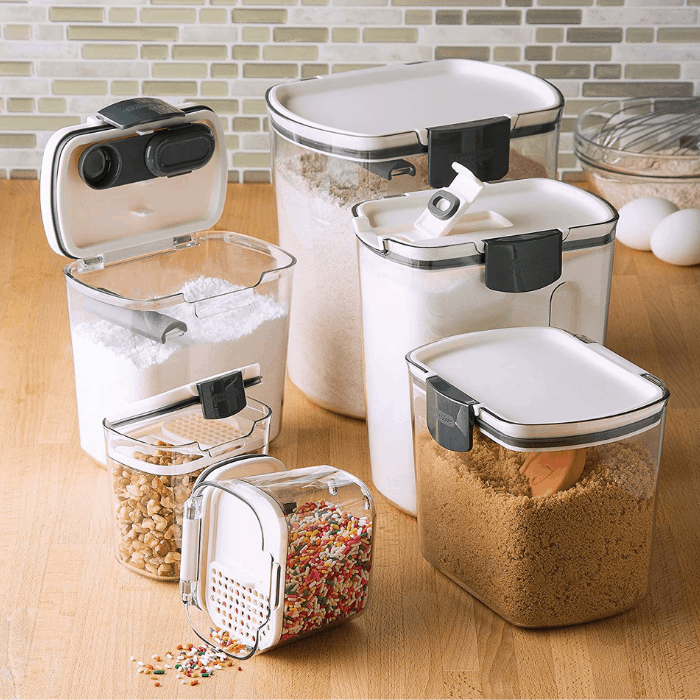 Do you have other tips when it comes to organizing your kitchen?